I am so excited and delighted to announce that I have signed a new contract with a new publisher. The good folks at Figure 1 Publishing are magical, and I am stoked to join the team. The official announcement from Figure 1 is over here if you are interested. In partnership with my new publisher, my third book, OPEN to THINK, will publish on September 8, 2018. OPEN to THINK proposes a return to balance between the three components of productive thought: dreaming, deciding, and doing. More details coming soon. Visit the site for a brief book description. 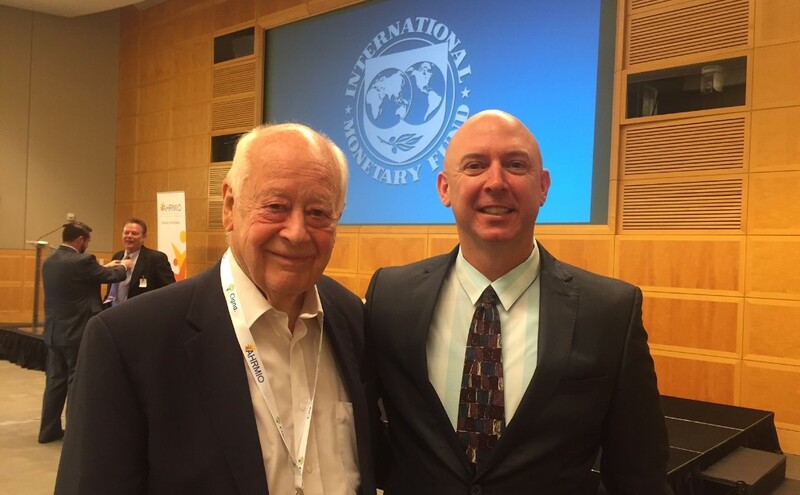 The first photo is me with Henry Mintzberg & the other is with Charles Handy. 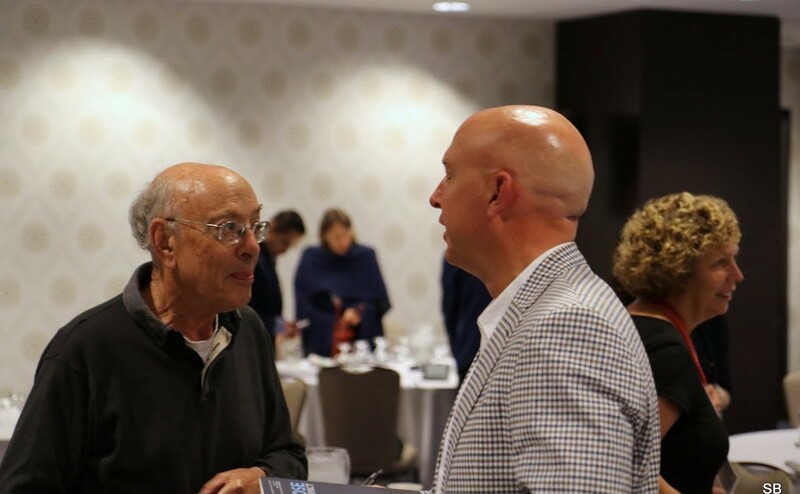 Recently I had the chance to keynote after both of these legendary men. With Henry it was at his Rebalancing Society event in Montreal. With Charles it was at the IMF in Washington, DC. As someone who has read most of their insightful wisdom, I cannot express how humbling it was to share the stage with these two titans of leadership & organizational culture intellect. Exciting news. You can now buy signed copies of THE PURPOSE EFFECT or FLAT ARMY complete with personalized messages. If you are leading a team, what a fab way to say thanks! Just tell me their names and something special about them that can be written. See below for more details. 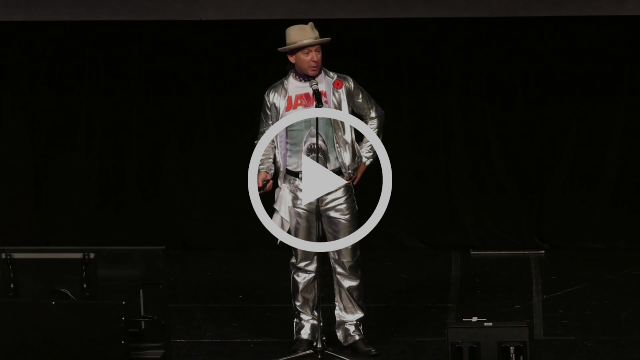 In 2017 I will have delivered over 50 keynotes about purpose, leadership, culture and engagement. 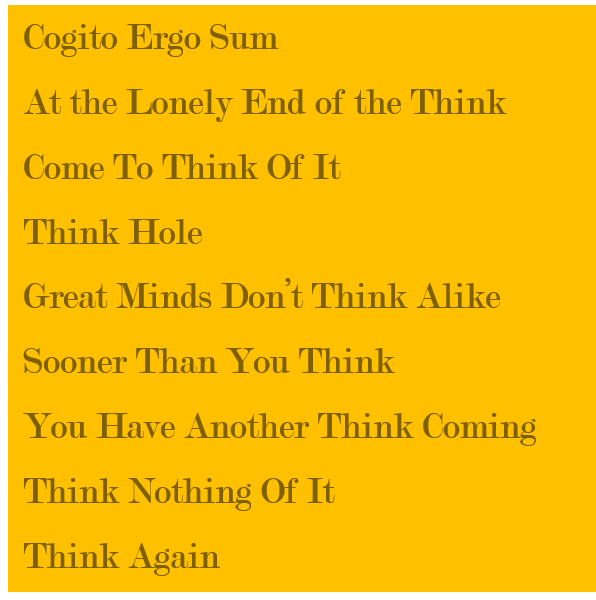 Soon I will be adding “Open Thinking” to the mix. Drop me a line if you would like to discuss opportunities in 2018. The work I continue to be fortunate to do with TELUS Transformation Office is very rewarding, my sweet spot. If you or your team needs assistance with organizational effectiveness, ring me up at TTO. “Top 100 Motivational Speakers” list. Check out the entire list over here. I had the opportunity to attend the Thinkers50 conference in November, a biennial gathering of leadership and management thinkers. Congratulations to my friend, Roger Martin, for landing the top spot, #1 management thinker! My recap of the event can be found on my Forbes column. 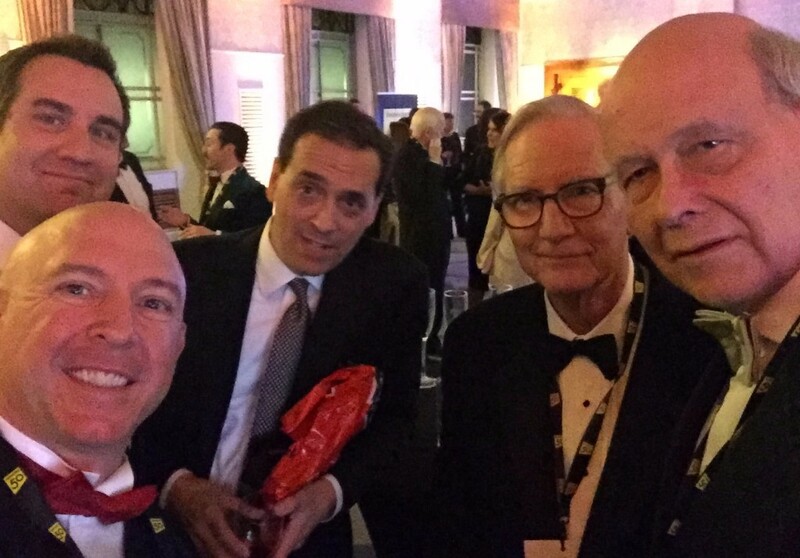 That’s me, with (clockwise) David Burkus, Daniel Pink, Tom Peters and Karl Moore at the Thinkers50 gala in London. 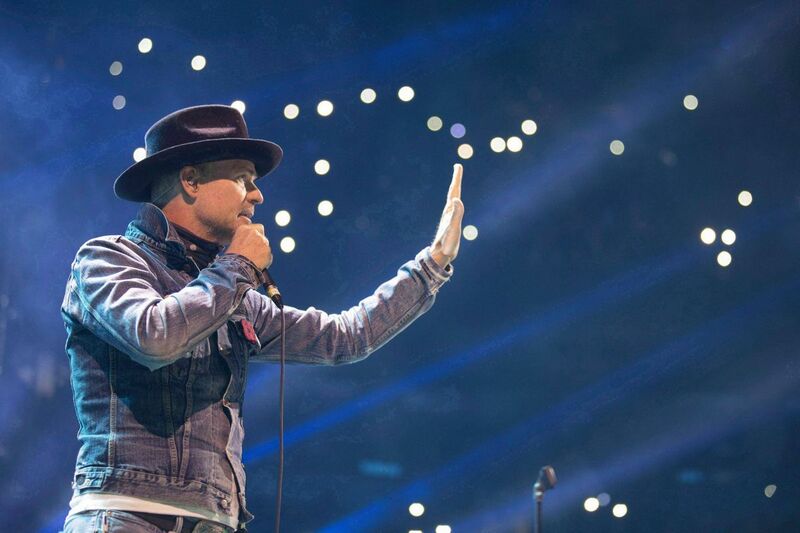 The passing of singer/poet Gord Downie affected me greatly in mid-October. I held him in very high regard, be it as a writer, performer, environmentalist, feminist and goofball. He will be missed. Sunnybrook Hospital devotes millions of dollars toward research to treat the untreatable. Part of my author/speaker commissions in 2017 went to their Foundation. You can donate, too. Thanks for your support in 2017. Best of the upcoming holiday season. I hope we can connect in 2018.